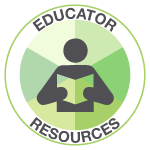 The California Department of Education issued the California Dyslexia Guidelines (updated version March 4, 2019). For your convenience, Decoding Dyslexia CA has summarized the highlights of the California Dyslexia Guidelines into a 2-page document that can be downloaded and shared. The CDE has setup a dedicated page to dyslexia on its website. Names and Affiliations of the Workgroup Members.